Pickles in the West are totally different from the kind we find in India. It is usually made with a salt and vinegar brine(sometimes with spices). 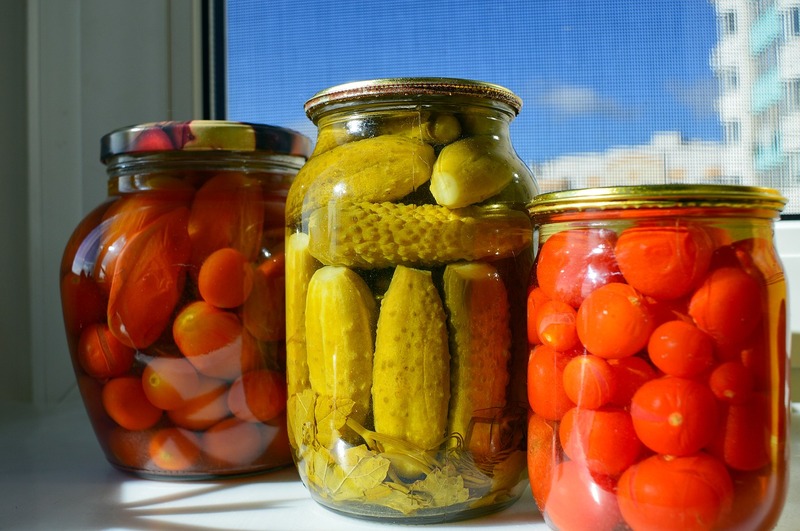 The brine is popularly known as ‘pickle juice’. 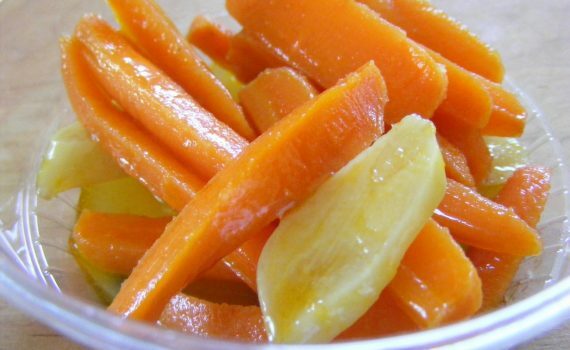 If you are tired of the cucumber pickles that are hugely popular and want to try your hand at pickling try out this quick and easy Carrot Pickle. Heat some water in a saucepan and once it boils drop the cut carrots into them and blanch on high for 3 mins. Strain out the carrots (you can use the water for soups or for regular cooking) and put them in cold water to stop the cooking. Strain and place in a sterilized glass jar along with the spices, garlic, peppercorn. Combine the vinegar,water and salt in a pan and bring to a boil. Pour the vinegar-water solution(brine) into the jar leaving about 1/2 inch space on top. Close the lids. Allow it to cool completely. Let it marinate for at least a day or two in the fridge for the flavours to develop.